“Golden Triangle” of drug corruption between WHO, the pharma industry and academic scientists that has permanently damaged the lives of millions and even caused death. That was the life that I used to know. On August 23, 2009, I received a seasonal flu vaccine at a local grocery store that drastically, and potentially irreversibly, altered my future. In a matter of a few short weeks I lost the ability to walk, talk normally, and focus on more than one stimuli at a time. Whenever I eat I know, without fail, that my body will soon go into uncontrollable convulsions coupled with periods of blacking out. Each day is a battle to control the symptoms triggered by the flu vaccine and a reminder that my life will never be the same. I set up this site to tell my story and warn people of the neurological side effects than can result from vaccinations; especially knowing that in the majority of cases, these stories are seldom heard outside of immediate families and friends. I hope everyone that reads my story will heed my warning and think very carefully, including seeking out consultations with your family doctor, before making the decision to receive a vaccination. Had I known the full risks of my own flu shot back in August … had I been properly educated … I may have never suffered the painful consequences. Even more importantly, after I got injured, I felt I was written off by most of the medical community simply because they couldn’t figure out what was truly wrong. On TVN24 in Poland Baxter has admitted they contaminated 72 KG of vaccine material with the live bird flu virus. 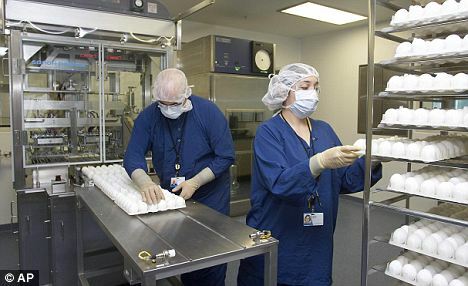 As a result of handling this contaminated material in February, 36 people working for the labs Avir and BioTest had to be treated preventatively for the bird flu in hospitals in Austria and the Czech Republic, underlining that their health was threatened by the material in the opinion of medical experts. Both Avir and BioTest have stated that the final purpose of the contaminated Baxter material was for use in regular seasonal flu vaccines, strongly suggesting the notion it would have been injected into people if it had not been detected by staff at BioTest. The Times of India reported on March 6th that a global bird flu pandemic had nearly been triggerd by the Baxter material. Because Baxter is obliged under EU rules to handle the bird flu virus using biosafety level 3 or 4 precautions in its ultra modern biomedical facilities in Austria, an accidental contamination can be virtually ruled out. No evidence has been presented by Baxter to prove otherwise. Biosafety level 3 regulations apply to any virus that can cause a serious disease in human beings. The bird flu, a lab engineered virus, has a mortality rate of over 60%. The gigantic amount of 72 kilos of vaccine material was contaminated in Orth an der Donau. It is not clear why Baxter had the bird flu virus in its vaccine production facilities in Orth an der Donau in the first place. WHO supplied the bird flu virus to Baxter. For what purpose? I was going to write today about wellness being your first line of defense. I’ll put that out tomorrow. I just thought some of the articles that came out today were quite amusing. We see that the World Health Organization may take several years to reduce the pandemic level 6 alert status. Couple that with flu.gov posting that there are planning on instituting new measures at the airport to scan your body temp and evaluate your health before boarding a plane due to H1N1. As if flying wasn’t inhumane enough already, now we have to put up with body scans and health questionairres. Kurt Nimmo from Infowars put together a nice piece below that picks apart the facts vs the media spin and there is another article that will detail what to look out for from the media public relations machine over the next few weeks. Below I picked apart a few ridiculous comments by the WHO and gave my two cents about the seasonal flu virus and what really causes it. I’ve also included a link to an article where the WHO admits to releasing pandemic viruses into the population to gain fast track approval of vaccines. In other words, pure evil! Just a quick note: Infowars.com is rebroadcasting their interview with Dr. Sherri Tenpenny, considered as one of the experts regarding the swine flu and vaccines today. You can tap into it at www.infowars.com and tie into the restreaming broadcast (click on listen to alex jones live now, itunes or windows media player). Interesting Articles today: WHO States Could Take Years to Lower Pandemic Alert Level – http://www.reuters.com/article/homepageCrisis/idUSL9615772._CH_.2400 (This article really sets a precedent for the next several years that swine flu isn’t going anywhere or at least the control measures they put in place aren’t (see article below)- again, fear-mongering. Having studied virology in college and having a basic understanding of biochemistry, much of what is covered by the WHO makes no sense whatsoever, however, it does create a climate of fear and sets the precedent for control measures as cited in the below article “Gov’t to use Swine Flu for Another Control Mechanism.”) Some of the ridiculous excerpts from this article are as follows: “Eventually a pandemic virus becomes more like a seasonal virus and that normally will take something like two to three years,” Hartl said. “Once enough people either have been vaccinated or have contracted the virus, then it becomes more difficult to spread. It starts acting like a seasonal flu.” – It starts “acting” like a seasonal flu.” So what exactly does this mean, acting like a seasonal flu?” Next…. “Influenza viruses thrive in colder climates and normally pack the biggest punch in winter.” – Flu virus thrives in colder climates eh? Why? Based on what? Where does it hide in the heat? Due to the outbreak of H1N1 (Swine) flu occurring in the United States and many other countries, airport staff in some countries may check the health of arriving passengers. Travelers from the United States arriving in other countries may be checked for fever and other symptoms of H1N1 (Swine) flu, and their travel may be delayed. If you have a “fever or respiratory symptoms” you may be asked to 1) be isolated from others, 2) submit to a medical examination, 3) take a rapid flu test with a nasal swab sample (! ), 4) be hospitalized and given medical treatment if you test positive for H1N1. I just listened to some nutcase proponent of this tyranny who was interviewed on FOX radio, and he called this “a sound public decision” and a “wise step.” The poor creep doesn’t “want to get on a plane next to someone who is sneezing and wheezing.” The analyst for FOX: “It does, in a way, make sense.” Indeed, we are living in sick times and we are surrounded by sick minds. France: Only 17% in favor of vaccinations down from 55% in Sept. Nearly 1 in 2 clearly opposed Germany: Only 13% in favor of vaccinations down from 51% in July. Austria: Less than 10 people attend vaccine clinic in fourth largest city Salzburg. Luxemburg: 77% opposed to vaccinations, 15% undecided. Poland: Only 3% plan on vaccinations in Krakow, one of countries largest cities. Similar attitudes for Danes, Finns, Spanish, Belgians and Dutch and British people. 62% of Americans will refuse jab due to safety concerns. Infowars | Less than a third of pregnant women have taken the shot despite Gov’ts 16 billion propaganda campaign. Reuters | The White House statement was similar to disaster declarations issued before hurricanes hit coastal areas. So we see that for the most part, H1N1 is a complete non-event. 1000 deaths have been reported since March. Thats little over 100 per month. Seasonal flu comes in at 36,000 per year. An avg of 3000 per month. A National Emergency? For what? So for those of us who didn’t think it was possible that the mandatory vaccination and forcible quarantining legislation (Pennsylvania Drafts 2009 Mandatory Vaccination Law ) would ever go into effect because, well, they’ll never call a National Emergency, know this, its here. Its said, its only to cut through red tape, but be skeptical. Tomorrows post will tell you why. Three More Children Injected Against Parents’ Wishes When does yet another “mistake” become a flagrant official disregard for parental rights? Another three children have been injected with the swine flu vaccine against their parents’ wishes as schools institute mass inoculation programs with little concern about consent. In one case, it was exposed when one child was rushed to the hospital: Public school nurses give swine flu vaccine to kids without parents’ OK, sends child to hospital YouTube: Child vaccinated at school AGAINST PARENTS WISHES ! ————————————————————————————————————————————————————————————————————— Why the National Emergency? While it was demonstrated through the polls in yesterdays email that the masses are awakening, are we confident enough, are we convicted enough in our stances to fend off a flank attack coming from the blindside? What do I mean? It seems as though H1N1 is a non-event, as evidenced from the data discussed yesterday. However, WE ARE under a state of national emergency. If you remember from previous emails, legislation has been passed at the Federal, State and Local levels allowing for Mandatory Vaccinations and Forcible Quarantining. And as we’ll see below, recent developments in the Ukraine, which have the WHO concerned could spark a worldwide lockdown. Can you withstand the media fearmongering that may result and the task force Government Appoints Task Force To Handle H1N1 Vaccine Propaganda appointed to “explain false alarms” to public when injuries “coincide” with shots. Flank Attack: BIOLOGICAL WARFARE AGENTS? On October 20, it was reported Mysterious virus kills 30 people in Ukraine (contains a video from Russia TV). Mysteriously, Mexican flu (H1N1) was ruled out, as also detailed in the article posted to Infowars titled Ukraine’s Deadly Flu: Pretext for Mandatory Vaccination? In it, Ukraine Health Minister Vasyl Kniazevych told the National Radio Company of Ukraine that the virus is not H1N1. The article questions, Could the new influenza strain now emerging in Eastern Europe be a biological warfare agent? A grammatically poor, yet insightful article entitled Has Baxter International released a biological weapon? suggests that this new outbreak could be the result of a new virus manufactured in a laboratory setting by Baxter. Yet, Russia TV as well as numerous other mainstream media reports suggest that it is in fact H1N1. Steve Watson from Infowars details this and other possible scenarios in Swine Flu, Mystery Virus Or Pure Hype: What Is Going On In Ukraine? Alarming though are the reports of aircraft spraying aerosols over towns in the Ukraine meant to combat swine flu outbreak: Panic in Ukraine, Authorities deny aircraft are spraying aerosols over cities, Martial Law expected . So far PM Announces Flu Quarantine of Nine Ukrainian Oblasts . The WHO is currently sending a team to the Ukraine to determine exactly what is going on: Ukraine Mystery Outbreak Sparks WHO Concern as Disease Spreads. I debated including the Ukraine stories, I’m not one for fearmongering, but I think its pertinent to cover these stories as it could set the stage for global lockdown. While it is yet to be determined whether there is reason for concern, its wise to anticipate. Whats curious about these stories is the confusion between the Ukraine Health Minister ruling out H1N1 and the media claiming it is in fact H1N1. Could we be seeing an unveiling of a new biological warfare agent meant to scare us into getting our H1N1 vaccinations? Could it be the pretext for mandatory vaccinations and quarantining? It’s worth questioning. About 18 months ago I posed a movie plot scenario where a viral outreak occurs (fabricated), forcible vaccinations and quarantines result (vaccinations as part of the internment) and most die. The plot twist being that most die from the vaccine, not the virus, yet, the gov’t declares they got the viral strain wrong and that the virus was to blame. Little did I know at the time that such a scenario could actually unfold. In the face of fear, would you really want to go running out to get the shot? Below are just a handful of articles I’ve pulled regarding the H1N1 vaccine results. Again, curiously, these reports show up locally, but not mainstream. Why is this? Keep the faith and stay strong!!! I have been saying for six months that the swine flu “hoax” is a ploy to sell a toxic vaccine that will kill more people than it helps. Thank God you don’t live in corrupt NJ which will kill 10-20 of its kids with this crap. AND, you will see that NJ will NOT have a lower prevalence of swine flu than the rest of the country. My own suspicion is that the universe is not only queerer than we suppose, but queerer than we can suppose… I suspect that there are more things in heaven and earth than are dreamed of, or can be dreamed of, by any philosophy. Prevention: Is the swine flu jab safe? Concerns have already been raised that the new vaccine has not been sufficiently tested and that the effects, especially on children, are unknown. It is being developed by pharmaceutical companies and will be given to about 13million people during the first wave of immunisation, expected to start in October. Top priority will be given to everyone aged six months to 65 with an underlying health problem, pregnant women and health professionals. The British Neurological Surveillance Unit (BNSU), part of the British Association of Neurologists, has been asked to monitor closely any cases of GBS as the vaccine is rolled out. There are concerns that there could be a repeat of what became known as the ‘1976 debacle’ in the US, where a swine flu vaccine killed 25 people – more than the virus itself. A mass vaccination was given the go-ahead by President Gerald Ford because scientists believed that the swine flu strain was similar to the one responsible for the 1918-19 pandemic, which killed half a million Americans and 20million people worldwide. Within days, symptoms of GBS were reported among those who had been immunised and 25 people died from respiratory failure after severe paralysis. One in 80,000 people came down with the condition. In contrast, just one person died of swine flu. More than 40million Americans had received the vaccine by the time the programme was stopped after ten weeks. The US Government paid out millions of dollars in compensation to those affected. The swine flu virus in the new vaccine is a slightly different strain from the 1976 virus, but the possibility of an increased incidence of GBS remains a concern. Shadow health spokesman Mike Penning said last night: ‘The last thing we want is secret letters handed around experts within the NHS. We need a vaccine but we also need to know about potential risks. Two letters were posted together to neurologists advising them of the concerns. The first, dated July 29, was written by Professor Elizabeth Miller, head of the HPA’s Immunisation Department. 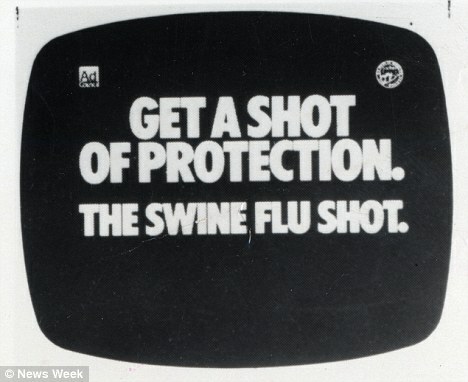 It says: ‘The vaccines used to combat an expected swine influenza pandemic in 1976 were shown to be associated with GBS and were withdrawn from use. ‘GBS has been identified as a condition needing enhanced surveillance when the swine flu vaccines are rolled out. The second letter, dated July 27, is from the Association of British Neurologists and is written by Dr Rustam Al-Shahi Salman, chair of its surveillance unit, and Professor Patrick Chinnery, chair of its clinical research committee. It says: ‘Traditionally, the BNSU has monitored rare diseases for long periods of time. However, the swine influenza (H1N1) pandemic has overtaken us and we need every member’s involvement with a new BNSU survey of Guillain-Barre Syndrome that will start on August 1 and run for approximately nine months. ‘Following the 1976 programme of vaccination against swine influenza in the US, a retrospective study found a possible eight-fold increase in the incidence of GBS. ‘Active prospective ascertainment of every case of GBS in the UK is required. Please tell BNSU about every case. If there are signs of a rise in GBS after the vaccination programme begins, the Government could decide to halt it. GBS attacks the lining of the nerves, leaving them unable to transmit signals to muscles effectively. It can cause partial paralysis and mostly affects the hands and feet. In serious cases, patients need to be kept on a ventilator, but it can be fatal. Death is caused by paralysis of the respiratory system, causing the victim to suffocate. It is not known exactly what causes GBS and research on the subject has been inconclusive. However, it is thought that one in a million people who have a seasonal flu vaccination could be at risk and it has also been linked to people recovering from a bout of flu of any sort. The HPA said it was part of the Government’s pandemic plan to monitor GBS cases in the event of a mass vaccination campaign, regardless of the strain of flu involved. But vaccine experts warned that the letters proved the programme was a ‘guinea-pig trial’. Dr Tom Jefferson, co-ordinator of the vaccines section of the influential Cochrane Collaboration, an independent group that reviews research, said: ‘New vaccines never behave in the way you expect them to. It may be that there is a link to GBS, which is certainly not something I would wish on anybody. He said squalene, a naturally occurring enzyme, could potentially cause so-far-undiscovered side effects. Professor Chinnery said: ‘During the last swine flu pandemic, it was observed that there was an increased frequency of cases of GBS. No one knows whether it was the virus or the vaccine that caused this. ‘The purpose of the survey is for us to assess rapidly whether there is an increase in the frequency of GBS when the vaccine is released in the UK. It also increases consultants’ awareness of the condition. If neurologists do identify a case of GBS, it will be logged on a central database. Details about patients, including blood samples, will be collected and monitored by the HPA. It is hoped this will help scientists establish why some people develop the condition and whether it is directly related to the vaccine. But some question why there needs to be a vaccine, given the risks. Dr Richard Halvorsen, author of The Truth About Vaccines, said: ‘For people with serious underlying health problems, the risk of dying from swine flu is probably greater than the risk of side effects from the vaccine. ‘But it would be tragic if we repeated the US example and ended up with more casualties from the jabs. Professor Miller at the HPA said: ‘This monitoring system activates pandemic plans that have been in place for a number of years. We’ll be able to get information on whether a patient has had a prior influenza illness and will look at whether influenza itself is linked to GBS. 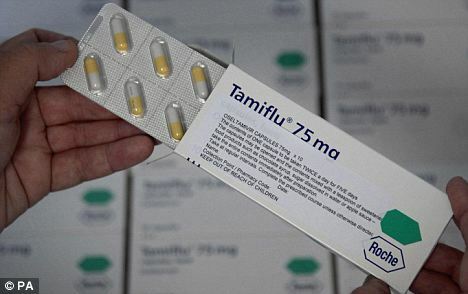 The UK’s medicines watchdog, the Medicines and Healthcare Products Regulatory Agency, is already monitoring reported side effects from Tamiflu and Relenza and it is set to extend that surveillance to the vaccine. A Department of Health spokesperson said: ‘The European Medicines Agency has strict processes in place for licensing pandemic vaccines. ‘In preparing for a pandemic, appropriate trials to assess safety and the immune responses have been carried out on vaccines very similar to the swine flu vaccine. The vaccines have been shown to have a good safety profile. When Hilary Wilkinson woke up with muscle weakness in her left arm and difficulty breathing, doctors initially put it down to a stroke. But within hours, she was on a ventilator in intensive care after being diagnosed with Guillain-Barre Syndrome. She spent three months in hospital and had to learn how to talk and walk again. But at times, when she was being fed through a drip and needed a tracheotomy just to breathe, she doubted whether she would survive. 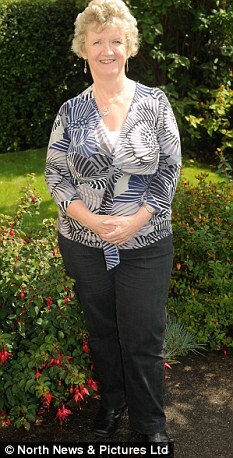 The mother of two, 57, from Maryport, Cumbria, had been in good health until she developed a chest infection in March 2006. She gradually became so weak she could not walk downstairs. Doctors did not diagnose Guillain-Barre until her condition worsened in hospital and tests showed her reflexes slowing down. It is impossible for doctors to know how she contracted the disorder, although it is thought to be linked to some infections. Mrs Wilkinson said: ‘It was very scary. I couldn’t eat and I couldn’t speak. My arms and feet had no strength and breathing was hard. I was treated with immunoglobulin, which are proteins found in blood, to stop damage to my nerves. After ten days, I still couldn’t speak and had to mime to nurses or my family. ‘It was absolutely horrendous and I had no idea whether I would get through it. You reach very dark moments at such times and wonder how long it can last. After three weeks, she was transferred to a neurological ward, where she had an MRI scan and nerve tests to assess the extent of the damage. Still unable to speak and in a wheelchair, Mrs Wilkinson eventually began gruelling physiotherapy to improve her muscle strength and movement but it was exhausting and painful. Three years later, she is almost fully recovered. She can now walk for several miles at a time, has been abroad and carries out voluntary work for a GBS Support Group helpline. She said: ‘It makes me feel wary that the Government is rolling out this vaccine without any clear idea of the GBS risk, if any. I wouldn’t wish it on anyone and it certainly changed my life. Confidential NHS staff records and disciplinary complaints could be accessed by hundreds of workers manning the Government’s special swine flu hotline. They were able to browse through a database of emails containing doctors’ and nurses’ National Insurance numbers, home addresses, dates of birth, mobile phone numbers and scanned passport pages – all details that could be used fraudulently. And private and confidential complaints sent by hospitals about temporary medical staff – some of whom were named – were also made available to the call-centre workers, who were given a special password to log in to an internal NHS website. It could be a breach of the Data Protection Act. The hotline staff work for NHS Professionals, which was set up using taxpayers’ money to employ temporary medical and administrative staff for the health service. The not-for-profit company runs two of the Government’s swine flu call centres – with 300 staff in Farnborough, Hampshire, and 900 in Watford, Hertfordshire. Shadow Health Secretary Andrew Lansley described the revelations as ‘disturbing’. A spokeswoman for NHS Professionals would not confirm whether access to the confidential files had been granted. via Swine flu jab link to killer nerve disease: Leaked letter reveals concern of neurologists over 25 deaths in America | Mail Online. May 2 (Bloomberg) — South Korea confirmed its first case of swine flu one day after a patient in Hong Kong was diagnosed with the disease, as Asian health officials battle to contain a virus that has spread to at least 14 nations on three continents. “After a period of cell cultivation, we have deemed that the patient has contracted the virus,” Lee Jong Koo, director of the Korea Centers for Disease Control & Prevention told reporters today in Seoul. South Korea this week raised its alert status, issued a travel “restriction” warning on Mexico, tightened checks on inbound travelers and boosted inspections of pork products. Hong Kong declared a public emergency after confirming its first case yesterday, one day after the World Health Organization said it may soon declare the world’s first influenza pandemic since 1968. Hong Kong’s first swine flu patient is a man who arrived from Mexico on April 30, Chief Executive Donald Tsang said yesterday, urging the public not to panic. The government said today it moved 12 guests of the Metro Park Hotel, where the man stayed, to a holiday village prepared as a quarantine center. Taiwan’s Centers for Disease Control told 24 people who traveled on the same Shanghai-to-Hong Kong flight and later returned to Taiwan to quarantine themselves until May 7, it said in a statement last night. via Asia Seeks to Stem Contagion as Swine Flu Spreads (Update1) – Bloomberg.com. Please,please wait until the FDA has evaluated these new products and deemed them perfectly healthy…like some of the other products they’ve approved…Raptiva, Vioxx, cigarettes, Swine flu vaccines from the 1970’s, etc. Google “FDA” and “scam” and you will get 1.2 million hits. Do you think they are all conspiracy nuts? How about Dr. David Graham (senior drug safety researcher at the FDA) who blew the whistle on the Vioxx debacle. The FDA’s suppression and intimidation of scientists is a threat to public health. Unless it changes, and scientists can speak without fear, they cannot defend the public,” he said. ScienceDaily (May 2, 2009) — The U.S. Food and Drug Administration and the Federal Trade Commission are alerting the public to be wary of Internet sites and other promotions for products that claim to diagnose, prevent, mitigate, treat or cure the 2009 H1N1 influenza virus. The agencies are also advising operators of offending web sites that they must take prompt action to correct and/or remove promotions of these fraudulent products or face enforcement action. “Consumers who purchase products to treat the novel 2009 H1N1 virus that are not approved, cleared or authorized by the FDA for the treatment or prevention of influenza risk their health and the health of their families,” said Michael Chappell, acting FDA Associate Commissioner for Regulatory Affairs. Products that are offered for sale to the public with claims to diagnose, prevent, mitigate, treat, or cure infections caused by the H1N1 influenza virus that have not been proven to be safe and effective for these uses must be carefully evaluated. via FDA, FTC Warn Public Of Fraudulent 2009 H1N1 Influenza Products. SWINE FLU EXPOSE (1977) is a book by Eleanora McBean Ph.D., N.D.
“TYPHOID MARY” WAS NEVER A CARRIER by Eleanora I. McBean, Ph.D., N.D.
One of the reasons flu is so closely watched is because of the huge number of humans who come down with it every year. A small change in mortality rates (the percentage of people who die from a disease) can have a huge impact because the numbers are so large. In an average year, according for the Centers for Disease Control (CDC), between 5 and 20 percent of the U.S. population comes down with the flu. For the purposes of this calculation let’s say it is halfway: 12.5%. Twelve and a half percent of the U.S. population is about 37.5 million. The CDC also reports that 200,000 people are admitted to hospitals in the U.S. for flu or flu-like symptoms every year. Other researchers have calculated that on average, about 40,000 people die in the United States each year from the flu or complications of the flu. As a comparison, According to the CDC about 650,00 die from heart disease and about 550,000 die from cancer. Every year. If 40,000 people die out of the 37.5 million who come down with the flu that is a mortality rate of a little over one tenth of one percent. According to a Stanford University summary of the great flu pandemic of 1918, the mortality rate in that outbreak was about 2.5 percent – almost 25 times the mortality of a normal flu year. So, to complete the discussion, if this Swine Flu has a higher than normal mortality rate, maybe even as high as 2.5%, and a normal number of Americans – 37.5 million – are infected with it then over 950,000 Americans would die of that flu strain. If contagion rates are higher than average and this strain of flu is as virulent as the 1918 strain then well over a million Americans might die of it. In Mexico, as of yesterday, 1,300 people had contracted the disease and 80 had died – a mortality rate of over 6 percent. via CNSNews.com – Don’t Cry for Me Influenza.